This super fresh summer salad has it all! It´s sweet, tangy, hot and crunchy. 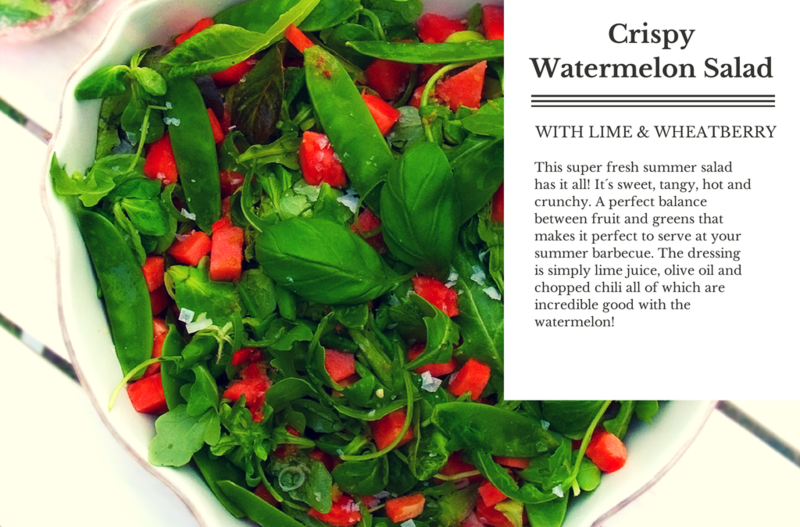 A perfect balance between fruit and greens that makes it perfect to serve at your summer barbecue. The dressing is simply lime juice, olive oil and chopped chili all of which are incredible good with the watermelon! You’re sure to impress whoever you’re inviting. I actually discovered this salad recently through a friend and just had to ask her for the recipe! I´ve already ‘prepared it plenty of times this summer. Sharing is caring, let other people enjoy our recipes! Sprinkle some more flaked salt to decorate.